Please click here to look at all available Biewer Puppies. The Biewer Terrier, also known as the Biewer Yorkshire Terrier a la Pom Pon, the Biewer Yorkie, German Yorkie or just the Biewer, is a new toy terrier breed. It was introduced into mainstream America in 2003 and recorded with the American Kennel Club FSS in 2014. It was the first breed to be established as a purebred through scientific data rather than pedigree data which is customary. Rocky Mountain Biewer Terriers is located at the National San Juan Forest, near the beautiful little town Dolores in Colorado. We raise our dogs on our little ranch and they live with us in our beautiful log home and enjoy 12 acres of space of grass, trails, hills and fresh Colorado Country air. All our Standard, Chocolate and Cream colored Biewer Terriers are DNA tested and AKC registered. 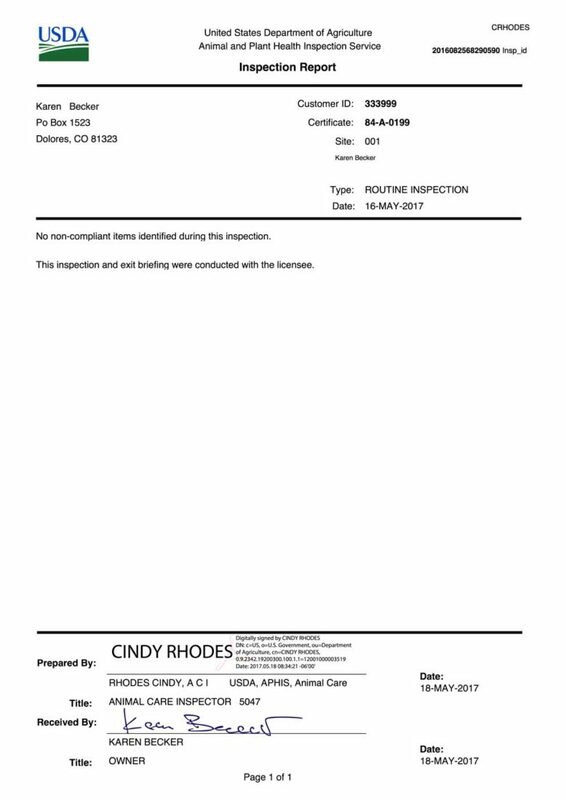 We are USDA and State licensed and our Biewer Terrier Kennel is AKC inspected.